Hiring a DUI lawyer from Atlanta to fight a pending DUI in Georgia is extremely important. Our Super Lawyers know every aspect of DUI laws in Georgia and how to get out of a DUI, if possible. Knowing how to explain away the non-scientific field sobriety tests, or a modified Romberg test (for an alleged DUI-drugs case), or to knowing ways to discredit a breathalyzer test are critical to a criminal lawyer’s success rate. Check out the credentials of Bubba Head, Larry Kohn, and Cory Yager as three of Georgia’s top DUI attorneys. 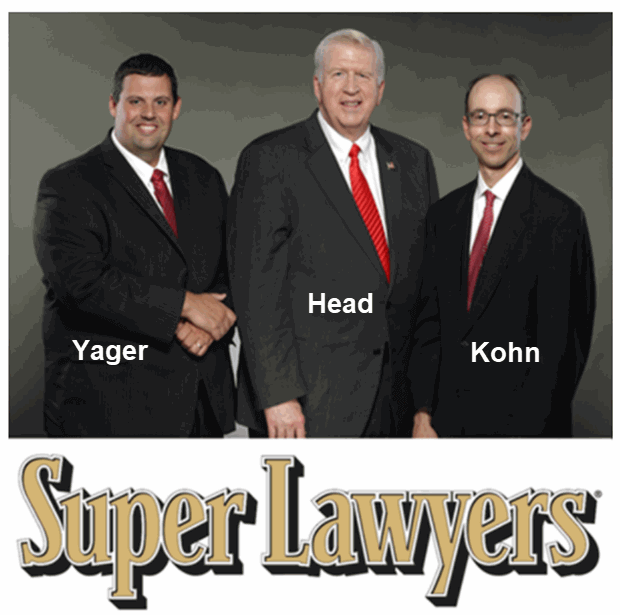 Start by selecting one of our Super Lawyers who is a GA DUI specialist. Choosing a DUI attorney from our Georgia DUI law firm is the first step to avoiding a Georgia license suspension and a DUI conviction. The Georgia DUI lawyer you hire will make a huge difference if you plan to fight your DUI in GA. Similar to selecting a surgeon to perform delicate or risky surgery, choose your DUI lawyer in Atlanta, GA carefully based on lawyer reviews, client ratings, and recognition by legitimate legal practices for being one of the best criminal defense lawyers available. Obtain targeted, FREE legal advice from highly experienced criminal attorneys at your initial lawyer consultation. From this interview, one of our 3 DUI law firm partners will examine the basis for your arrest, the law enforcement officer’s compliance with GA DUI law, and any implied consent issues in your driving under the influence case. Contact a DUI defense attorney with our law office 24 hours a day, including nights, weekends and holidays, by calling 404-567-5515. Our criminal defense attorneys will connect with you to provide your no-cost DUI Georgia case assessment. Our decades of legal experience in fighting thousands of drunken driving cases for Georgia clients have trained our DUI lawyers how to get out of a DUI arrest if this goal is achievable. If you are determined to win, we are ready to be your criminal attorneys and defend you by engaging in the battle for you.